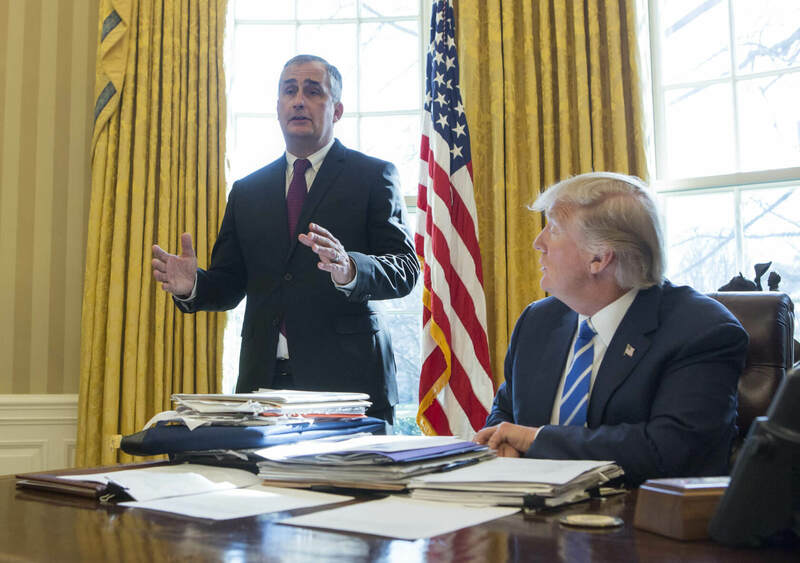 Intel boss Brian Krzanich has become the latest executive to resign from a Donald Trump advisory council. He was the third CEO in a day to quit the American manufacturing council, a protest against the administration’s muted response to the white supremacist rally in Charlottesville. Krzanich followed Under Armour CEO Kevin Plank and Merck CEO Kenneth Frazier out of the door yesterday. Trump wasn’t pleased with the Merck Pharma boss' decision, who said he left "as a matter of personal conscience." The president later posted a tweet criticizing the company. Since the council members’ resignations, Trump has released a second statement on Charlottesville that called out the nationalist organizations by name. But for Krzanich, Plank, and Frazier, it seems like a case of too little, too late. Racism is evil. And those who cause violence in its name are criminals and thugs, including KKK, Neo-Nazis, White Supremacists, and other hate groups are repugnant to everything we hold dear as Americans. Those who spread violence in the name of bigotry strike at the very core of America. Trump’s decision to leave the Paris accord back in June saw Elon Musk and Disney’s Bob Iger leave his councils. Uber’s then-CEO Travis Kalanick and Hint Water’s Kara Goldin had resigned in protest against the immigration ban four months earlier.